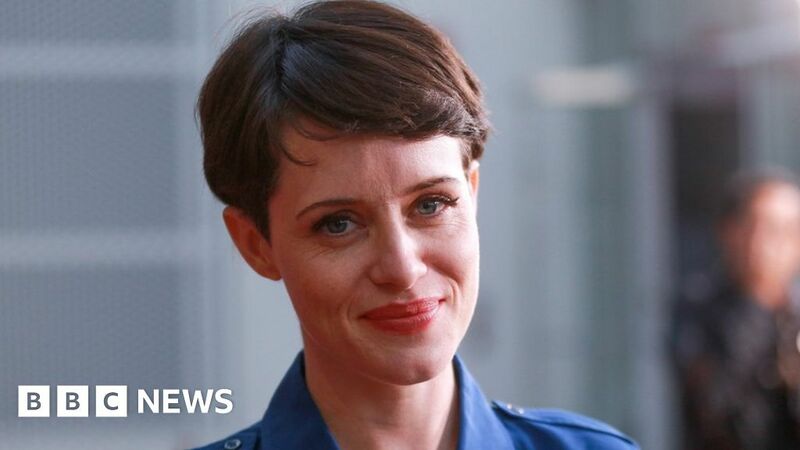 Claire Foy has “big shoes to fill” in taking on Stieg Larsson’s Lisbeth Salander, says the director of the first Girl with the Dragon Tattoo film. Denmark’s Niels Arden Oplev said the British actress was “fabulous” but suggested it was “risky” to continue Larsson’s Millennium saga on screen. Foy will be seen later this year in The Girl in the Spider’s Web, based on a sequel written by another author. The 34-year-old is up for a Bafta TV Award later for her work in The Crown. Speaking at the Cannes Film Festival, Oplev insisted Swedish actress Noomi Rapace “will always be the iconic Lisbeth Salander”. Rapace played Salander, a tattoo-sporting computer hacker with a dark past, in 2009’s The Girl with the Dragon Tattoo and its two film sequels. Rooney Mara went on to play the Salander character in the Hollywood version of The Girl with the Dragon Tattoo, released in 2011. The new film, directed by Fede Alvarez, was shot earlier this year and will reach UK cinemas in November. Larsson, who died of a heart attack in 2004, did not live to see his three Girl… novels become a global publishing sensation. In December 2013, his estate commissioned Swedish writer David Lagercrantz to pen a fourth instalment that was published two years later. Oplev, whose other films include the 2017 remake of Flatliners, said both his film and Rapace’s portrayal had “influenced Hollywood tremendously”. “In some ways she was 10 years ahead of the #MeToo movement,” he went on, citing the scene where Lisbeth takes creative revenge on a male assailant. Oplev told the BBC he hoped the new film would be “character-driven” and that its makers “take care of the franchise”. The 57-year-old’s next project will tell the story of Daniel Rye, a Danish photographer who was held captive by the Islamic State group for more than a year. Oplev was speaking at a Cannes press event organised by the Scandinavian film fund Film I Vast. The 71st Cannes Film Festival continues until 19 May.